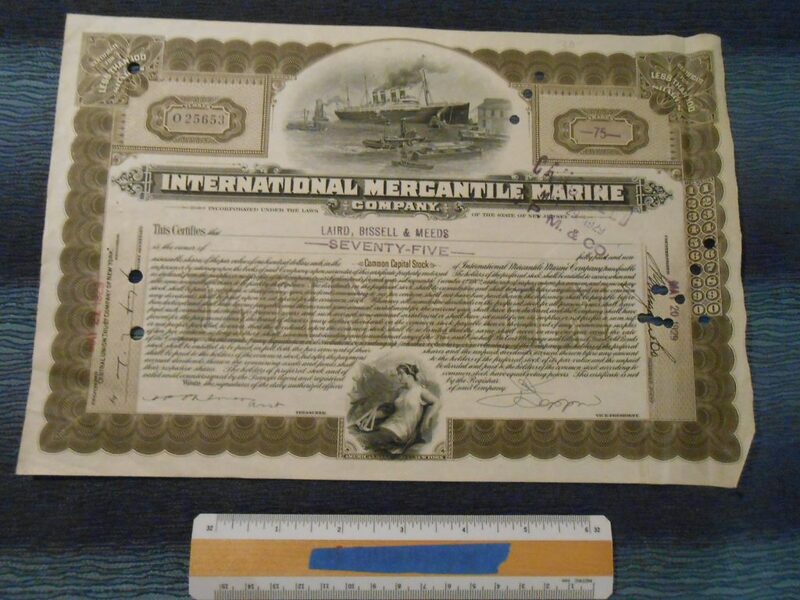 75 shares of IMM stock would have been a nice little investment back in the day ... now just interesting to collectors for the 4 funneled ship image and its tie to the historical company. one edge of this is a little wrinkled .. but could be flattened easily (especially if framed). The 4 funnel ship is a nod toward the Olympic ... but looks a bit more like one of the German 4 stackers.